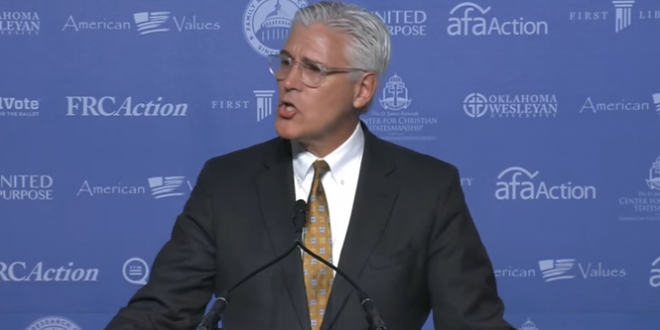 Christian College President Compares Gays To ISIS - Joe.My.God. I recommend this simple exercise: Go to any article in any magazine or website that argues for “conversations” about sexual morality and simply replace the acronym of the day with another set of letters. For example, every time you see LGBTQ in an article, simply replace those letters with ISIS. Change nothing else. Do this throughout the entire column in question. Piper, you will be shocked to learn, is pushing an Oklahoma bill which would make it legal to discriminate against LGBT citizens. But if this is their “identity” and if it’s consensual then it’s all good – Right?